One Direction is gifting us with the track list for their upcoming album Four! As we patiently, but low key flippin anxiously await the release of 1D’s new album out November 17th, the boys were kind enough to feed some of our musical hunger. Last week they revealed that there will be 16 tracks on the deluxe version of the album, aka the one you should always get, and if you preorder, you will get five tracks upfront before the LP’s release! So many titles, endless possibilities of context! So are you guys excited for Four and which songs, judging from their titles, are you most curious about? Let us know in the comment section below, Also be sure to check out the teaser to there first single off the upcoming LP "Steal My Girl" down below. Beyonce Planning Rerelease Of Self Titled Album??? 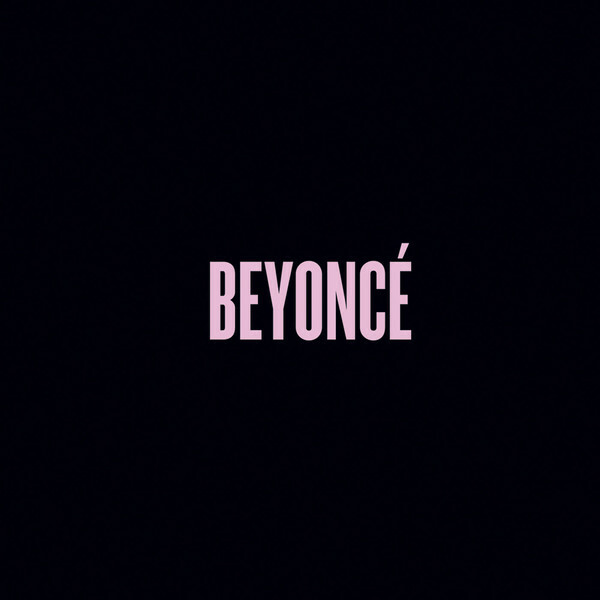 It has been almost a year since Beyoncé changed the entire music game with the project. It has gone on to break all kinds of records and even inspire other “surprise” wannabe albums. Since that time, Beyoncé has had the entire music world on edge for more surprises. Her last “surprise” was a performance of the entire album on the 2014 MTV Video Music Awards. Well, based on some online retailers, it looks Beyoncé is planning an even bigger surprise for Black Friday. The online retailers have a 4-disc “Platinum” edition listed for release on November 24th. We have no idea what the 4 CDs will include, but we are sure that it is going to be something Beyoncé’s BeyHive will love. I guess we will just have to wait and see what King Bey has in store for the end of 2014. If you’ve been itching for some new Iggy Azalea music, we have got some GREAT news for you because she’s about to drop a whole new album! Well, sort of. Igs has been teasing a repackaged edition of her very successful album The New Classic, and she has finally revealed that the NEW album, appropriately titled Reclassified, will drop in November. Finally! A date! Yay! It’ll feature some new songs mixed in with other tracks from The New Classic. And check out the artwork! Very 1970s art deco. We like. Iggy shared it on Instagram and captioned the photo saying: "Since You guys gave me 100million views I'm gonna go ahead and drop this on you as a Thankyou. #ComingSoon". So what can we expect as far as the new tracks that’ll be part of Reclassified? One song is another team up with Charli XCX called “Beg For It” while another is her collab with Ellie Goulding titled “Can I Say” which was featured in the trailer for the upcoming movie Kingsman. Iggy teased “Beg For It” via her friend’s Instagram, and it sounds like we’ve got another hit on our hands here. Take a listen. Are you feeling that song? Get excited Katy Cats – it looks like our girl has just landed one of the biggest gigs EVER. Rumors are swirling that Katy Perry will be performing at the Super Bowl half time show in 2015, and we are REALLLYYY hoping this is true because KP knows how to put on a show. Now, again, this isn’t 100% confirmed, but it appears as though the NFL is getting their wish, because a few months ago they had reportedly narrowed the possible half time performers down to Rihanna, Coldplay, and Miss Katy Perry. However, there was a bit of controversy surrounding the choosing of the half time act since the NFL essentially wanted the artist to PAY in order to take the stage. Katy spoke out against that earlier this week when she stopped by College GameDay and said that she’s quote "not the kind of girl to pay to play the Super Bowl." Interesting. Maybe she was just trying to throw us off? Sneaky, sneaky. But if I’m being honest with you guys here – the ONLY reason I personally ever watch the superbowl is to see someone like Madonna or Beyonce perform. Anyways, if you were hoping for someone else, don’t fret because there’s a solid chance Katy will have some kind of special guest take the stage with her. Remember how last year Bruno Mars brought out Red Hot Chili Peppers? And when Destiny’s Child joined Beyonce in 2013? All we know is that if this does happen, it is BEYOND perfect and we’re already excited. The Katy Perry Bowl…I mean the Super Bowl, will take place on Sunday February 1, 2015 in Glendale, Arizona. And obviously, we have no idea who will be playing, but last year it was the Denver Broncos vs the Seattle Seahawks. We have one word for Beyonce and Nicki Minaj’s collab video – FLAWLESS. Two of our favorite ladies teamed up to release the remix of the catchy track off Beyonce’s fifth self-titled album a couple months ago, but we’re now just getting to see the “Flawless” music video. And even though it’s basically just the concert footage from when Nicki join B on stage during their On the Run HBO special, it was worth the wait! There’s a good chance you’ve already checked it out for yourself, but just in case you haven’t,Musiq Nation is here to break down not one, not two, but FIVE of the best highlights. Let’s jump right in with number one, and that’s the opening number when the definition of feminist is explained. What’s sexier than equal rights?! Next up, Beyonce has all the AMAZING dance moves. NOBODY, and I mean NOBODY can shake it like Beyonce. HOW CAN SHE MOVE HER BODY LIKE THAT?! The third highlight is when Beyonce starts going into the remix, which gets EVERYBODY pumped. And of course, the next highlight on the list is when Nicki made her EPIC entrance. And last but certianly not least, we have Nicki’s whole dang part. How amazing are these two together?! What did you think of their collab? Sound off in the comments below. Nicki Minaj’s booty-licious year just keeps getting better and better as she can now add HOST to her already impressive resume. Yes, Nicki will not only perform at the 2014 MTV EMAs, but she’ll serve as FREAKING host for the night’s festivities as well. Go ‘head girl! MTV broke the exciting news on Tuesday, but put your excitement on hold for just a bit, because the EMAs aren’t happening until November 9. Womp womp. However, silver lining, this gives Nicki PLENTY of time to whip up an amazing performance. Not that we were expecting anything else from her, right Barbz? Plus, it’s just a couple weeks from the release of her album The Pinkprint, so just another reason to be excited. Maybe she’ll play some new music? As we mentioned, the MTV EMAs – which are basically the European equivalent to the VMAs – are happening on Sunday November 9 in Glasgow, Scotland. And Nicki isn’t the only superstar who will take the stage, since we’ll also see performances from Jason DeRulo, Fallout Boy and Austin Mahone. And as for who scored noms? Katy Perry scored the most with a whopping seven, while Ariana Grande, One Direction, Pharrell Williams, and Five Seconds of Summer are also nominated. And Nicki earned herself four nominations which is also how many Iggy Azalea scored. Do you think they made the right choice for host? We personally think Nicki will kill it, but tell us YOUR thoughts in the comments below. Ariana Grande and Ed Sheeran are lined up for a big-time performance – get excited, party people! 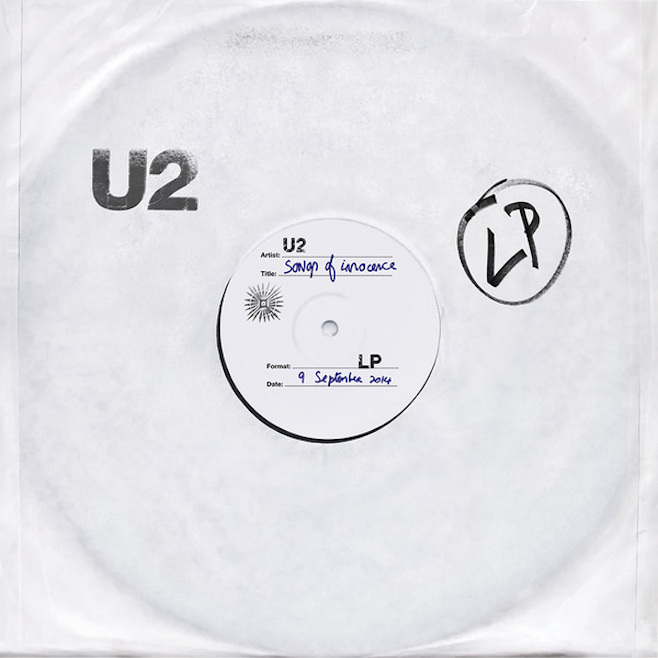 Album Review #38: U2 "Songs of Innocence"
Standout Tracks: "The Miracle (Of Joey Ramone)","This Is Where You Can Reach Me Now","The Troubles", "Raised By Wolves", "Every Breaking Wave", "Volcano"
Aretha Franklin's new album, "Aretha Franklin Sings the Great Diva Classics," arrives Oct. 21, and the first single is a total showstopper. Franklin covered 10 songs by some of the best female vocalists -- Etta James, Barbra Streisand, Alicia Keys and Gladys Knight, to name a few -- and now you can listen her version of Adele's "Rolling in the Deep." The arrangement is killer, with a line or two from Marvin Gaye and Tammi Terrell's "Ain't No Mountain High Enough." (No word on Adele's next album, though.) Take a listen to the track below.